Your glue gun can help you make beautiful flowers without sewing. 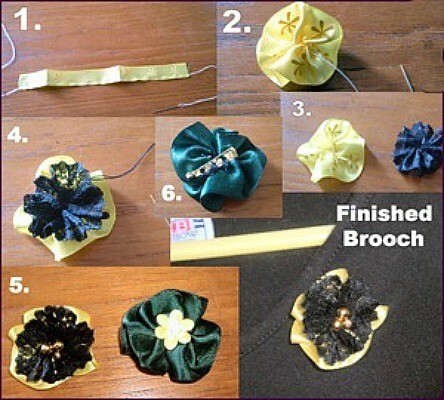 This guide is about making ribbon flowers. Here are some ribbon flowers I made. These are made into brooches. They could also be hot-glued onto a hardshell Alice hair band. Pin brooches onto your clothes to brighten an outfit or pin onto shopping bags or hats, glue or sew onto hair slides, too. Even I, who cannot sew for toffee, could make them. Here's how to make one. Cut a length of ribbon. Since making these in the pictures I have found that singeing the ends of the ribbon with a flame from a match 'seals' the sides from fraying. With a matching colour thread sew a running stitch along the bottom length of the ribbon. Make sure the length of your thread is twice the size of your ribbon. Knot the end. 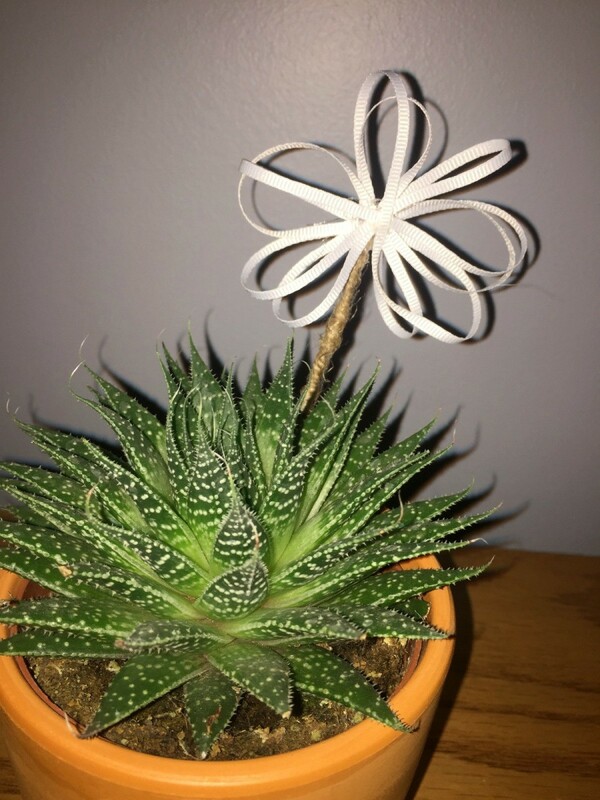 Now pull the ribbon so it forms a flower shape. Now sew together the circle of ribbon. It doesn't need to be neat as no one can see. Make another in a contrasting colour. I made my second one in some black lace. Now sew them together by a few good stitches into the middle. Now you can sew anything into the middle to add interest. Use a pretty button, beads, anything decorative. I thought to use some little faux flowers, like little rosebuds, or cake decorations. The possibilities are endless. Perhaps you could make some too. Perhaps it would be a nice project to make these very simple ribbons with daughters or granddaughters. These are sew fun to make. 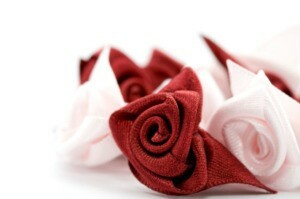 Where can I purchase various styles of Italian confetti ribbon flowers on the roll wholesale. I make favors (bonbonnieres) for weddings, christenings, showers etc... and need this product wholesale. www.ConfettiFlowers.com specializes in this kind of Italian-made ribbon, which has pockets in the petal for sugared almonds. You can turn this ribbon into wedding favors. Stop by, we can help! Try www.confettipelino.com. They have many options as well. Under the Italian Bomboniere section of their website, then go to Almond Holder Ribbons. I Rosa, I sell wholesale various styles of Italian confetti ribbon flowers, I have new items, you can't find in any other store. You can contact me at info AT myitalianfavors.com. How do I make embroidered flowers out of ribbon and then sew it onto a garment? Ribbon roses are easy and inexpensive to make and can be used to decorate clothing, other crafts, made into a brooch, and more. 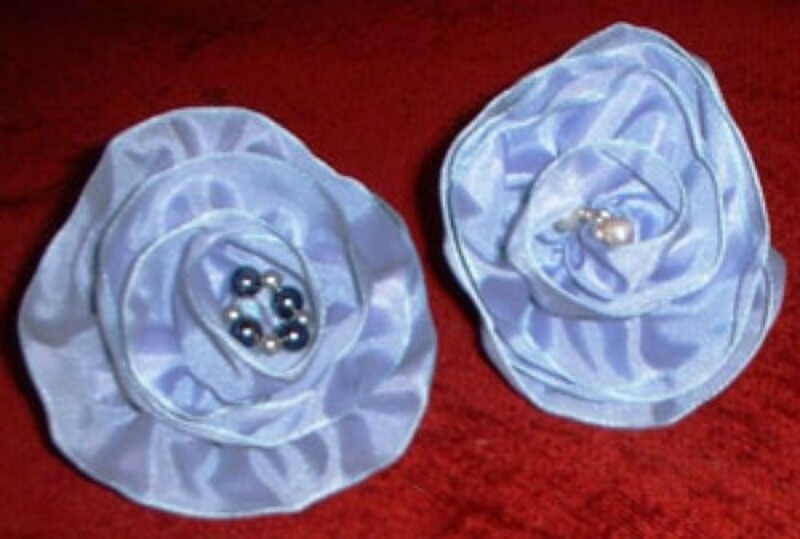 This is a guide about making ribbon roses.